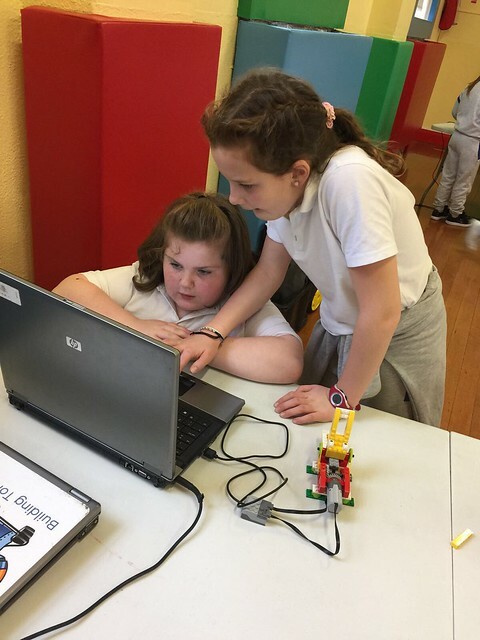 The children in 4th class had great fun using lego WeDo construction sets and laptops to programme a crocodile to open and close its mouth. The girls learned lots about following instructions and how coding works. They worked in groups and were challenged to complete the task set. They used motors and sensors to move their creation. It was a big hit in the classes and immensely enjoyed by all!